JapSpecJake had the most liked content! Hey All! 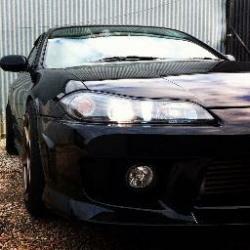 Just wondering what low beam globes everyone buys for their JDM Spec R S15......I'm gathering it's something like a H1? Also just wondering what brands etc I should get? Cheers! Lol I looked at "new" ones, crazy expensive for some genuine second hand ones! Hey, So I've just noticed my headlights have this sort of cracking or something on the inside of my S15 headlights....Anyone know what this is, why it's happened and if its fixable? I can't remember them being like this but I recently had them restored and now I notice it....The people that restored them assured me it must have been like that before hand, It just wasn't noticeable because they were foggy....I'm not sure though :/ Cheers! Managed to find somewhere in Aus selling them for $253 delivered. Cheers! Hey there! I'm Interested in getting some of these for my S15. I see you can now upgrade the indicators and reverse lights to LED which is cool. Just wanting to see what people think of them if you've purchased some? How they fit, quality, fog up or fill with water etc? I read somewhere they're made in the same factory as Dmax and Yashio in Taiwan haha http://marsperformance.com.au/Clear-Red-LED-Tail-Lights-Nissan-200SX-Silvia-S15 Cheers!